Alphabet tracks Austen's time in prison over several years, from the high-security facility where he struggles to show remorse to the rehabilitation clinic where various therapies aim to "cure" him of his dangerous sexual leanings and help him reinvent himself. Page weaves together Austen's complex inner dialogues and accounts of his experiences in prison, revealing him as a multifaceted human being: not a cold-blooded killer, but rather a sympathetic character, struggling to understand that love and friendship are ultimately what free us, not what jail us. 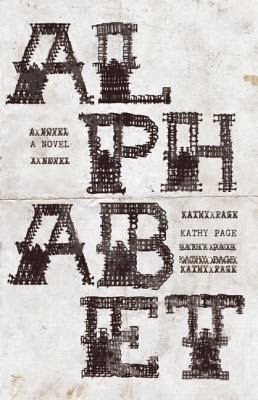 Along the way, Alphabet transforms from a novel of crime and punishment into a nuanced psychological profile of a killer, ultimately providing a gut-wrenching reminder of the atrocities contained within institutional walls and the lengths to which we are willing to go in order to protect our innermost selves.